The Omaha Community Playhouse, in partnership with its national touring wing, the Nebraska Theatre Caravan, will open Little Women: The Musical on Friday, January 23rd inside the Howard and Rhonda Hawks Mainstage. After its run completes on February 22nd, the show will be available for theatre houses across the country to pick up as part of a national tour that hopes to run next year. Since packing up and transporting the set is one of the production’s top priorities, the design and staging process was a unique one for director Susie Baer Collins. 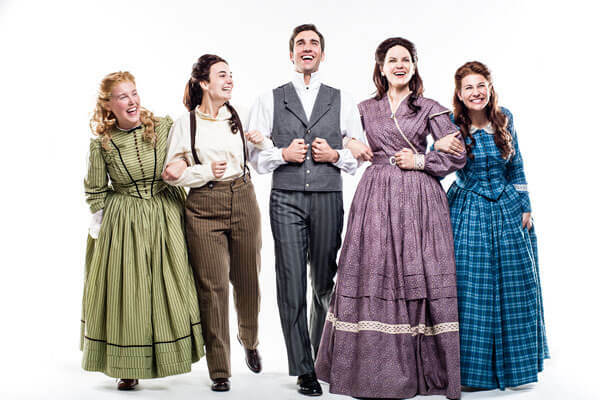 After numerous adaptations on stage and screen, the classic story of Little Women by Louisa May Alcott gets new life from Composer Jason Howland, Lyricist Mindi Dickstein, and Writer Allan Knee. Collins said this musical adaptation, first staged in 2005, provides music that both matches the time period and stays true to the conventions of musical theatre. Collins said that anyone will be able to connect with the new imagining of an American classic.